This Academy Award-nominated drama, an Iraq War veteran who just narrowly escaped death in combat struggles with his new post at the Casualty Notification Office while anticipating his upcoming discharge in this military drama. An ethical dilemma arises when he becomes involved with a widow of a fallen officer. Starring Ben Foster and Woody Harrelson, this Academy Award-nominated drama follows a pair of soldiers assigned to notify people when their loved ones have died in Iraq. Wow. Last night I watched a Youtube offering of South Pacific, the Rogers and Hamerstein Musical, current in my youth. It included Nellie Forebush singing " I'm gonna wash that man right ouy of my hair." 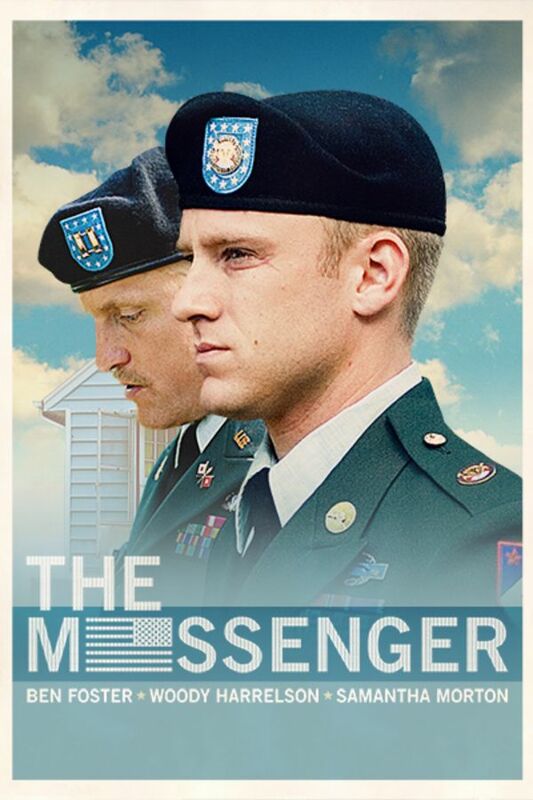 Tonight " The Messenger," a very different genre in very different times. I wonder if I might have possibly watched a flick that could have made me more hopeful that, at least some sensibilities have radically changed for the better. Broadway to Sundance, wow, Thank you Mr. Redford. This was a compelling film.